Carbon Controls is a leading provider of technical sales and services, specializing in: Alarm Signaling (Call Points, Horns, Strobes, Industrial Telephones, Process Monitors, Security Cameras), Electric Motor Control Solutions; Harmonic Solutions (Filters, MCCs, Motor’s, VFD’s), Fire and Gas Detection, Flow, Level, Pressure and Temperature Instrumentation (Custody Transfer Flowmeters, Ultrasonic Liquid Meter, Mag Meters, Turbine Flowmeters for Gas or Liquids), Wireless Automation Solutions (wireless gateways, Battery powered I/O Modules and Level, Temp, Pressure Transmitters), operating at -40°C. 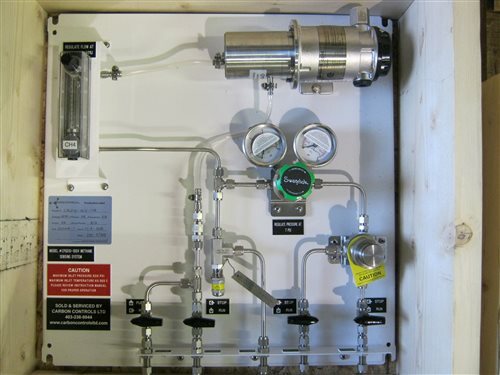 Carbon Controls has formed strategic alliances with world renowned companies like GE, Scott Safety, Simtronics, OleumTech, Reonix, FHF, GDS Corp, MEDC, Faure Herman, Greyline Instruments, Sponsler and Liquid Controls manufacturers of quality and reliable equipment. With Carbon Controls Team of Experts combining unparalleled application experience in Oil and Gas, Chemical Plants, Pulp and Paper and Water and Wastewater plants, we provide innovative solutions that will improve your process and reduce your operating and maintenance costs. Designed to continuously monitor a gas sample of Biogas. Powerful, flexible, and easy to use drive.